The 19th of October, 2018 marks another interesting development in the history of National Law Universities (NLUs). A newly-formed NLU consortium has decided that the Common Law Admission Test (CLAT) will return to the offline mode in 2019 for the first time in 2014; this signals the umpteenth change in what clearly has to be seen as a process. Incidentally, I was a part of the last batch of CLAT takers that had the offline test and I remember the quality and quantity of questions that crossed the minds of aspirants as well as their parents – because getting into the right college is an information intensive scenario i.e. if you clear a certain threshold, you have choices to make. Multiple online groups, pages and existing law school students make themselves available to shed light on typical questions to allow for the choices, ‘Should I choose NUJS or NALSAR?’, ‘Should I choose RGNUL or NLUO?’ so on and so forth. Having been on both sides of this proverbial table, one piece of advice that I have both, been given and have given, is that there exists a gap between the top three (top five or top two as the case maybe) NLUs and ‘the rest’. This is eerily similar to the almost irritating announcement, ‘‘Mind the gap’’, which has become so synonymous with the London Underground. For those who don’t understand the reference, travelers on the London Tube are constantly reminded, visually and audibly, to be aware of the gap between the platform and the train door while entering in a rush. Of course, this gap was much more apparent in older stations that had structural challenges but now, new stations in London (and worldwide) have overcome a lot of these challenge. Our NLU system, similarly, had wide gaps once upon a time but over time, these gaps between Universities have reduced. I want to be upfront and clear about the claim I am about to explain; the claim is not that newer NLUs are suddenly becoming as good as established ones – but the brackets of comparing good law schools cannot just be restricted to the select few. The corollary of this claim is didactic: first, studying in these places is only marginally better than the next bracket of NLUs and this margin will keep decreasing and second, top NLUs are killing initiative by promising security. Let’s go through these one at a time, though we will find out how inextricably co-dependent both these corollaries are. Before I entered Law school, I met a senior of mine who was at a top NLU at a bar at our home city and he was there with a few of his friends from some other ‘lower ranked’ NLUs. I was quiet for most of the time because all they discussed were jobs and it was the person from the top NLU dolling out advice to his friends, who were in the commensurate batch, about how to get fancy jobs. This situation was ripe for a ‘NALSAR grad, GNLU grad and an HNLU Grad walk into a bar’ joke and I’ve always imagined it as such but it would be a great shame if I did not share how much things have changed since that day. 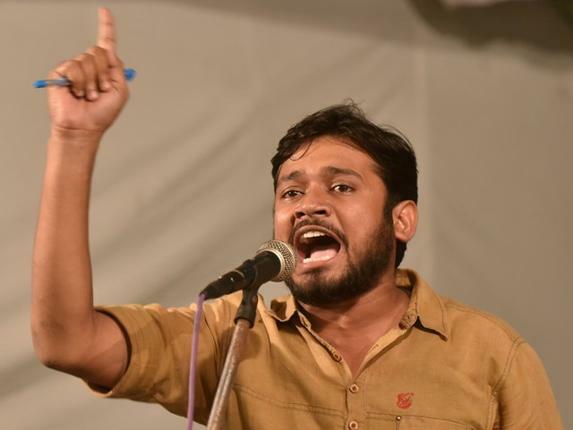 In these past five years, jobs abroad straight out of University, which were once the exclusive domain of two or three Universities, have not only reached places like NLUJ, GNLU and Jindal but it has also started to become commonplace. From a mooting perspective, a win or a qualification is not guaranteed because one’s university has had a historical dominance in the moot or a well-bestowed library. I cannot comment too much on faculty but I suspect that a similarly funded group of seven to eight of established Universities have their mix of teachers who are as likely to cause an aneurysm as an epiphany (though I’d hedge my bets that it is more of the former). These parameters that I talk about are, other than location and size of batch, factors that aspirants often try to position in their decision-making matrix of choosing a law school. Some disparities will warrant that one retake CLAT (or similar entrances) but it is pointless to leave GNLU or NLUJ after a year because you believe that NLS or NALSAR will be THAT much better. Speaking of NLS and NALSAR reminds me also the bubble of apathy that the average student in these Universities exist in. The once rightly flashy attraction is currently flawed paradise. 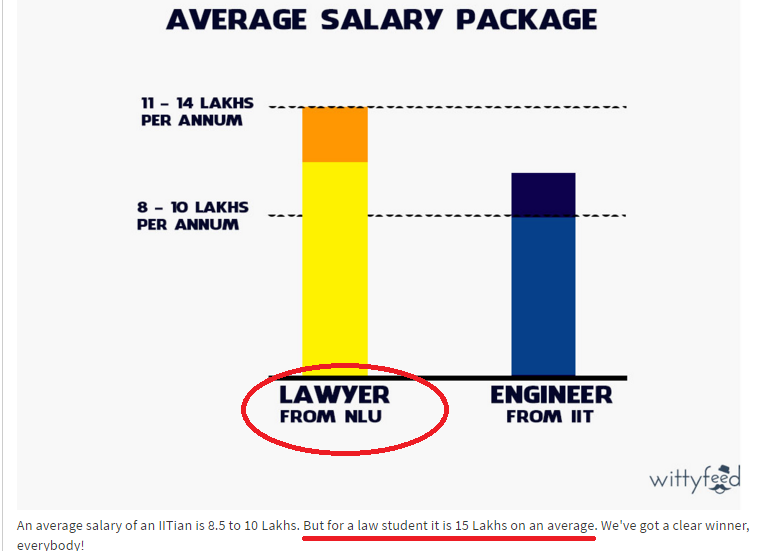 Nobody can dispute the alumni support that comes as a package with studying at NLS or NUJS or brilliant elective system of NALSAR but none of these is a barrier-to-entry for new law schools – Jindal, NLUD, NLUJ, GNLU, NLUO and many other law schools have been able to deliver wholesome results (not perfect, just wholesome). In fact, the allure of some of these top law schools have a very real effect on people who enter them; people at these top NLUs are aware of their security and that has often resulted in the average or the sub-par student getting jobs without really using their education or picking up any valuable skill set while doing their course. When it comes to actually executing their work at a corporate firm or a litigation chamber, they often fall short in comparison to the more hard-working student from a less established NLU who actually has the skill set. If this is not the scenario, then students from GNLU, NLUJ, RMLNLU, ILS, SLS etc are trying out new things and more interesting things that can be done with a law degree. Students from NLS, NALSAR have the bandwidth to do it but they simply cannot be bothered because jobs and LLMs at top universities are such a low hanging fruit. Those who are not in the wheelhouse of the top NLUs often have a systemic or institutionalised buzz towards working harder than their compatriot at NLS, NALSAR or NLUD and as we’ve learnt time and again, through CLAT, that a higher rank in simple aptitude test does not mean higher intelligence or ability to execute. The forerunners in the NLU space are not pushing the boundaries on what one can really achieve with a law school degree, making it easy for the benchmarks for the entire NLU community lower. All I see are members in top NLUs patting themselves on the back saying that you do not need to be paranoid (or ‘cautious’, if you take semantic issue with the word) in order to succeed. In my first paragraph, I had italicised the word ‘process’ indicating that CLAT as an examination (or other law school entrances as well) is a work-in-progress. Nobody likes to be the collateral of a process, especially when it is to do with their or their children’s undergraduate degree. People say it all the time, “5 marks is the difference between 400 ranks” – and they blame CLAT. But we cannot control CLAT; what we can control as students, however, is our effort and initiative. Over time, many aspirants subject themselves to a position of failure because they did not make it. All I am saying is that this gap between 400 ranks is more a myth than it is a reality for what you can achieve in life – both short term and long term. The daily users of the London Underground ignore the announcement and the visual throw of ‘Mind the Gap’ because they know that this gap has been worked upon and will be worked upon and the announcement almost serves the purpose of novelty for tourists; if they can ignore it and get on with their lives, so can you.